Alankrita Pritam’s designer wear is versatile in its function, as it’s ethical in its production right from the sourcing of the fabric, to the finished product. Is ‘less is more’ your fashion mantra or general aesthetic in life? 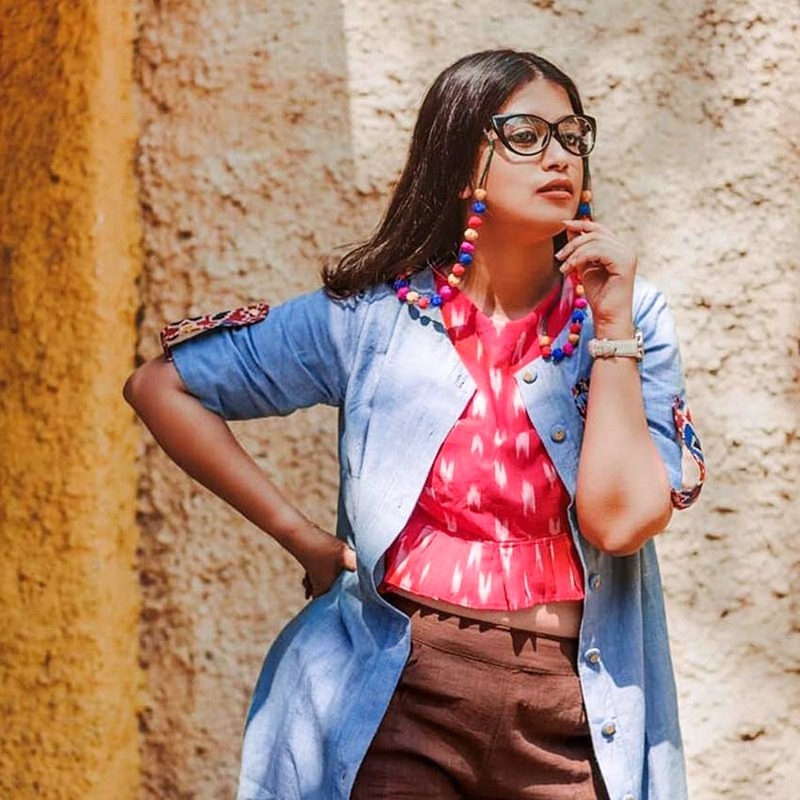 Alankrita Pritam’s easy breezy styles should probably find their way into your closet. With a focus on keeping things local, handmade, and ethical, yet durable the label going by the same name, is essentially on trend slow fashion. Working with indigenous fabrics, prints and textures, the brand’s clothing is ideal for daily and smart casual work wear. Their dresses, capes, blouses, skirts and are designed to be versatile pieces of clothing that you can accessorise to dress up, or wear as is to chill. Soft khadi, Madras cotton, linen and hand woven Indian textiles sourced straight from weavers and artisans. Fabrics come in pastels, and refreshing contrast colours (especially when it comes to fabrics with gingham, ikat, or kalamkari prints) made mostly from natural dyes. Expect no drama, except the occasional ruffles and embellishments, incorporations of gota patti and traditional saree borders to keep things interesting. All the designs are the brand’s own, but you can customise pretty much every other aspect of it right from the colour and print to the fabric used. Since the fabric is directly sourced (and woven to order), your order can take anything from a couple of weeks to a month depending on availability. Tops start at INR 1,299 and cotton and khadi dresses start at INR 2,500 and go up to over INR 4000, for silks. Once your order is placed, you can get the outfits fitted to your exact body shape and size, which is great news if you're vertically challenged or extra gifted.